This soup is so wonderful on cold winter nights. It has a slight bitter taste which I love. 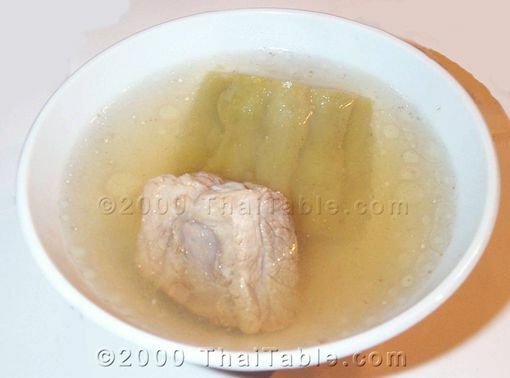 This recipe is a variation of stuffed bitter melon soup. Just a little easier to make. Omit pork for a vegetarian soup. To produce a clear soup, let the soup simmer rather than boil. Leave the lid off. The secret to good broth is long simmer time. Let the spare ribs simmer for at least an hour. 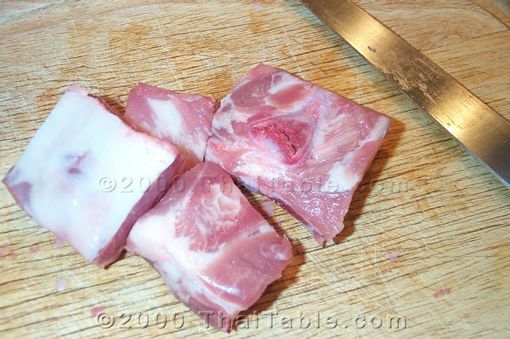 Spare ribs should be 2" x 2" or smaller. You can ask your butcher to cut them for you. Heat up water and the pork on medium heat. 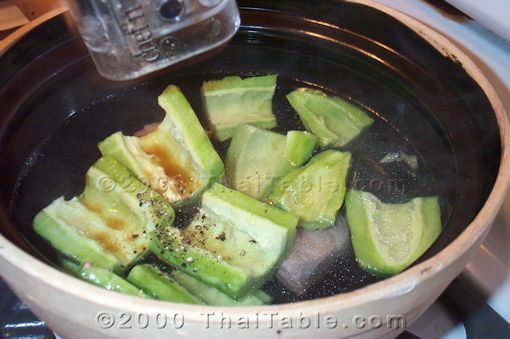 Add ground pepper, garlic and soy sauce and let the soup simmer on low or medium heat. 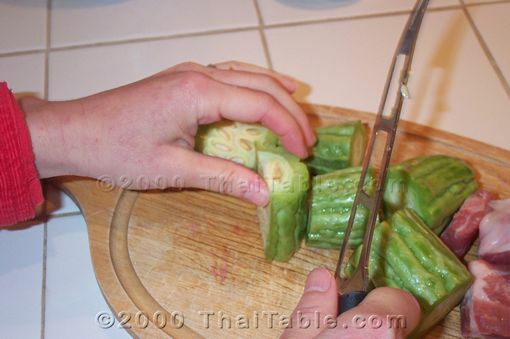 Cut the bitter melon across into 2 inch pieces. Cut those pieces lengthwise and remove the white fluff and seed. Add the cut bitter melon to the soup and let it simmer for an hour or until the bitter melon is soft and easy to cut with a spoon. You may need to add water from time to time. Add more soy sauce if needed.